Much has been written about ballet dancers and ballet teachers. We hope you find the following of interest. NICHOLAS POLAJENKO A native of New York City, Nicholas Polajenko was trained by the famed Russian teachers Anatole Vilzak & Ludmilla Schollar. Soon recognized as dancer of exceptional technique and acting versatility, he rapidly rose to the rank of Principal Dancer with such companies as the Metropolitan Ballet, Ballet des Champs Elysees, Ballet Roland Petit, London’s Festival Ballet and the International Ballet Marquis de Ceuvas. Before going to Paris France in December 1948 he was in two Broadway Musicals. Music In My Heart and Annie Get Your Gun. Between 1951 and 1968 he performed every major classical role, partnering such outstanding ballerinas as Tamara Toumamova, Marjorie Tallchief, Alexandra Danilova, Toni Lander, Yvette Chauvire, Svetlana Beriosova and Rosella Hightower. He has worked with such brilliant choreographers as Anton Dolin, Nicholas Beriosoff, Harald Lander, Roland Petit, Leonid Massine, Serge Lifar, Bronislava Nijinska and Alvin Ailey. Mr. Polajenko also made numerous guest appearances with companies around the world. As a Guest Artist with the Harkness Ballet of New York, he was invited to perform at the White House before President Johnson. His biography appears in a number of dance books and in the International Who’s Who. In 1966. Mr. Polajenko was appointed Principal Dancer & Ballet Master for the Ballet du Grand Theatre in Geneva, Switzerland. While there, he met his wife and, in 1973, they moved to the U.S. to pursue their teaching careers. Mr. Polajenko’s teaching credits include Point Park College, Pittsburg (’73-’74), Houston Ballet (Ballet Master “74-76), Houston Dance Center (co-Artistic Director ’76-88) and Harid Conservatory, Boca Raton (’88-’89). In addition, he has conducted master classes. Currently, his character interpretations of such roles as Drosselmeyer in the “Nutcracker” and the grumpy Grandfather in “Peter & the Wolf” are drawing rave reviews. With his rich professional background, Nicholas Polajenko is able to add a unique sense of history and tradition to all of his teaching and coaching. Polajenko trained dancers have joined such companies as the San Francisco Ballet, Ballet West, Dallas Ballet, Joffrey II, New York City Ballet, Berlin Ballet and Frankfurt Ballet. Civic activities have always been an important part of Mr, Polajenko’s life. He has served on the Dance Panel of the Cultural Arts Council of Houston, on the Board of the American Guild of Musical Artists and with the Sister Cities International Program. ANNE POLAJENKO The French-born ballerina received her training at the National Academy of Dance and at the famed La Scala Opera of Milano, Italy. Upon graduation, she joined the Geneva Grand Theater Ballet, where she performed as Soloist or Principal Dancer in every ballet of the classical repertory and worked with choreographers such as George Balanchine, Antony Tudor, Nicholas Beriosoff and Serge Golovine. From 1968-73, Ms. Polajenko had the unique opportunity of performing the Balanchine repertory under the tutelage of the choreographer himself. In 1968 she was also appointed company Régisseur in charge of coordinating company schedules, tours, costumes and shoes. Retired from the stage in 1973, Ms. Polajenko devoted herself to teaching and coaching future generations of dancers. She has served as Ballet Mistress and/or Principal Teacher with Houston Ballet, Houston Dance Center, Ballet Florida, the Harid Conservatory and Miami City Ballet. She has served as coordinator for Miami City Ballet's Outreach Program (north campus),and is currently Children's Ballet Mistress for George Balanchine's The Nutcracker™. In 2002, Ms. Polajenko joined So Danca one of the world’s leading dancewear manufacturers, as Shoe Specialist and Public Relations officer for North American operations. In October 2002, she was invited to represent the United States on the jury of the 1st International Cecilia Kerche Ballet Competition in Brazil. She travels extensively on behalf of So'Dança, conducting seminars and workshops in the highly specialized field of pointe technique and shoe fit for retailers, teachers and students across the United States and Canada. The photos you see here are ballet dancers who became famous ballerinas after many years of taking ballet classes, Pas de Deux classes and working in ballet pointe shoes. Over a period of time they even taught ballet technique as ballet teachers. I had the pleasure of dancing and being their partner in several well known ballet companies. Nicholas Polajenko Theatre programme advertising 4 ballets to be produced at the Coliseum by the International Ballet of the Marquis de Cuevas. L'AMOUR ET SON DESTIN author : Lifar, Serge, Mr., 1905-1986 choreographer : Parlic, Dimitri, Mr. designer : Wakhevitch, Georges, Mr.
SOIREE MUSICALE composer : Rossini, Gioacchino, Signor, 1792-1868 musical arranger : Britten, Benjamin, (Sir) choreographer : Taras, John, Mr. costume designer : Levasseur, Andre, Mr.
Svetlana Beriosova was born in Kaunas, Lithuania 1932. Her family emigrated to USA 1940 where she was trained by her father who was a ballet dancer. Joined Grand Ballet de Monte Carlo 1947. Moved to England and joined the Sadler's Wells Ballet Company in 1950. She was appointed prima ballerina in 1955. Repertoire includes: Trumpet Concert, The Prince of the Pagodas, Antigone, Perséphone, Ondine, Baiser de la fée, Swan Lake, The Sleeping Beauty, Giselle, Coppelia, Sylvia and Cinderella. Alexandra Danilova was born in Peterhof in 1903. She studied at the Imperial School in St. Petersburg with teachers like Vaganova and Preobrajenska . She graduated in 1920 and joined the Mariinsky in 1921. Promoted to soloist in 1922. She formed a small group with Balanchine and left Russia for a tour to Europe in 1924. Engaged by Diaghilev for his Ballets Russes from 1924-29. Then she danced with de Basil's Ballets Russes (1933-38) and Ballet Russe de Monte Carlo (1938-52). 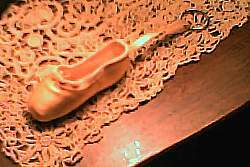 Guest danced with Saddler's Wells Ballet (1949) and London Festival Ballet (1951). Toured with her own group , Great Moments of Ballet, from 1954 to 56. She was one of the most popular dancers of her time. Technically versatile with enormous charm, elegance and wit. She danced all the major ballerina roles and created principal roles in Balanchine works like The Triumph of Neptune (1926), Le Bal (1928), Dances concertantes (1944) and La sonnambula (1946). Choreographed Coppelia for NYCB in 1974. She worked as a teacher at the School of American Ballet from 1964 to 1989. Her autobiography, Choura, was published in 1986. Violette Verdy was born in Point-l'Abbé-Lambour, France, in 1933 (as Nelly Guillerm). Began her career in 1945 with the Ballets des Champs-Elysées, and later joined Roland Petit's Ballets de Paris in 1950. She was a principal with the New York City Ballet from 1958 to 1977, where her partnership with Edward Villella in the Balanchine repertoire was very succesful. She created roles in Le Loup 1953 (by Petit), in Episodes 1959, Tchaikovsky Pas de Deux 1960, Liebeslieder Walzer 1960, Electronics 1961, A Midsummer Night's Dream 1962, Jewels 1967, La Source 1968, Pulcinella 1972, Sonatine 1975 (all by Balanchine), and in Dances at a Gathering 1969 and In The Night 1970 (by Robbins). She was director of the Paris Opera Ballet from 1977 to 1980. Toni Lander was born in Copenhagen, Denmark, in 1931. Studied at the Royal Danish Ballet School and made her Royal Danish Ballet debut in 1947. Became soloist 1950 and married Harald Lander. She had a powerful technique and long, strong lines, she excelled in Etudes. Guest ballerina with the Original Ballet Russe 1951-52 and with Paris Opéra Ballet 1951-54. Ballerina with the London Festival Ballet 1954-59. Principal with the American Ballet Theatre 1961-71. She returned to the Royal Danish Ballet 1971-76 as a dancer and teacher. Nathalie Krassovska (Leslie) was born in Lennigrad in 1919. Her mother was a dancer with Diaghilev's Ballets Russes and her grandmother was a soloist with the Bolshoi Ballet. She studied with Olga Preobrajenska in Paris and Legat in London. She danced with Nijinska's Co. in Paris 1932, with Balanchine's Les Ballets 1933 and with Serge Lifar in South America 1934. She then danced with the Ballet Russe de Monte Carlo 1936-1950 and with the London Festival Ballet 1950-1955. She danced most of the classic ballerina roles. After her dancing career she settled in Dallas and worked as a ballet teacher. Tamara Toumanova (Tumanishvili) was born in 1919 by Georgian parents (on a railway train between Siberia and Shanghai escaping Russia!). She studied in Paris with Olga Preobrajenska. She was engaged for De Basil's Ballet Russe de Monte Carlo by George Balanchine in 1932 and was one of the three famous "baby ballerinas". She was a guest artist with the American Ballet Theatre 1944-45, the Paris Opéra Ballet 1947 and 1950, De Cuevas Company 1949, La Scala 1951 and 1952, London Festival Ballet 1952 and 1954. She danced all the classical roles. Renée (called Zizi) Jeanmaire was born in Paris in 1924. She studied at the Paris Opera School from 1933 and entered the company in 1939. Although she had a brilliant classical technique she never fitted the ballerina mould and left POB in 1944. Her style was perfect for the exuberant and glamorous choreography of Roland Petit. She joined his company, Petit's Ballets de Paris, in 1948. She created many roles for Petit, the far most famous was the title role in Carmen (1949). She also created Roxane in his Cyrano de Bergerac (1959). From the 1950's she focused her career on film and cabaret. Rosella Hightower was born in 1920 in Ardmore, OK, USA. She studied with Dorothy Perkins in Kansas City. Danced with Ballet Russe de Monte Carlo 1938-41, American Ballet Theatre 1941-5, Massine's Ballet Russe Highlights Co. 1945-46, Original Ballet Russe 1945-46. In 1947 she joined the de Cuevas Ballet. As it's prima ballerina she toured the world and was one of the most popular dancers in Europe. She had an enormous repertory, including many creations for Taras, Bournonville's La Sylphide and Sleeping Beauty. She danced the Black Swan Pas de deux with Rudolf Nureyev in his London debut in 1961. Since 1962 she has directed the Centre de Danse Classique in Cannes which attracts dancers from all over the world and where many of her famous collegues give guest classes. Yvette Chauviré was born in Paris 1917. Danced at the Paris Opéra Ballet and became étoile 1941. The greatest French dancer of her time. Combining grace, lyricism and technical mastery she excelled both in Serge Lifar's ballets and in the classical repertory. Repertoire includes: David triomphant, Alexandre le Grand, Istar, Mirages, L'Ecuyère. She danced the classic reportory as a guest artist all over the world. Director of the Paris Opéra Ballet School 1963-1972. Commandeur Légion d'Honneur, 1988. Marcia Haydée was born in Brazil in 1939. She studied in Rio the Janeiro and then went to Sadler's Well School. Later she studied with Egorova and Preobrajenska. Joined Grand Ballet du Marquis de Cuevas in 1957 and then moved to Stuttgart Ballet in 1961, where she was promoted prima ballerina in 1962. One of the great dance actresses of her generation. Created roles in many John Cranko ballets including Romeo and Juliet (1962), Onegin (1965), The Taming of the Shrew (1969), Carmen (1971) and Initials R.B.M.E. (1972). She also created roles in ballets by MacMillan, Tetley and Neumeier. In 1976 she was appointed artistic director of Stuttgart Ballet. In 1993 she also took over direction of Santiago Ballet and finally retiring from both ballets in 1995.